I have been asked this question a lot over the years. Like most people, I first came for a holiday, but my story is perhaps a little different than the average person's. Or not. You be the judge of that. 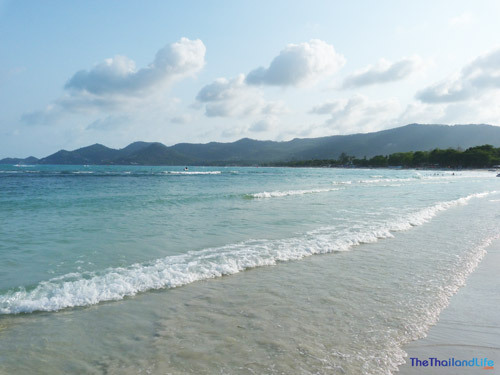 The fact is, it could've been anywhere in the world, but it just so happened that it was Thailand, Koh Samui. I'll never forget the Samui days…and nights! My friend asked me if I wanted to go on holiday with him and a family friend who had been a number of times before to visit his cousin, who lived in Samui. Having gone to university later than most, I'd never done the gap year travelling thing. Moreover, I'd never really given much thought to Thailand, although had a burning ambition to visit China because I'd studied Wing Chun for a while and that's where it has its roots. I knew nothing of Thailand except through the “Thai bride” and “ladyboy” jokes occasionally bounded around at work and in bars. Yet I was at a turning point in my life and Thailand sounded exactly like the experience I needed to take me away from the mundane 9-5 routine. I had not long split with my fiancee too. It had hit me pretty hard and, what with work getting me down, I was at a stage where I needed a big change. A holiday on a tropical island was an exciting prospect. The open roads on my moped, swimming in the warm sea, massages on the beach, fresh fruit, beautiful women everywhere, stress-free living! This was another world. The holiday went fast, as they do, and it made me realise that I had been missing out, that travel and perhaps even living abroad was something I wanted to explore. I didn't know what I would do in Thailand if I went back, but what I did know was that I wasn't happy and hadn't been for a fair while. I could afford to take a break and find out whether the grass was really greener on the other side. Looking back, I was disillusioned at the prospect of the templates of conformity that potentially lay ahead of me, and frustrated by where I was at. I was moaning and cursing day in day out. I was stressed. My positivity was at a low and I needed to break out. As Gladys Knight once said, “There's more to life than living at the same address”. I had some dosh stashed and, having always been a little entrepreneurial, I knew that if I put one foot in front of the other I would somehow survive. I did. Writing this post is proof of that. So, much to the dismay of my boss at the time, I wrote my resignation on the plane on the way back from that holiday and applied for my 1-year non O visa at the Thai embassy when I got home. Yes, back then you could get one of those visas with no restrictions. Read this post for the up-to-date visa requirements. People thought I was nuts. My family were worried, my friends thought I had met a ladyboy. I was on course for promotion and being headhunted by recruitment agencies for well-paid jobs, but I don't think I have ever been so sure of anything in my life. I was leaving. A little Bruce Springsteen (Badlands), I agree, but he'd had a few Singha beers. I will never forget those words. That guy seemed so happy. When you follow your smile, good stuff usually happens, and within six weeks of being in the Kingdom I managed to land a small income. I got a gig writing for a magazine (remotely). I didn't need a work permit, technically, because it was all online and the company was based outside of Thailand. To this day there is no legislation to cover this type of work. I even approached a Thai lawyer about it at the time and he said just do it. A journalist I knew back home from my music days had become editor at a new magazine. She asked me to contribute four pieces a month on Thailand and the surrounding region. It was enough to pay my rent and food at the time, and for any major spends I had my savings to dip into. A number of twists and turns later, I used my marketing experience to start my own online business. Things snowballed from there and I worked hard to carve out a life for myself. You might say I outgrew the island of Samui. In a way it became a bit of a fish bowl – seeing the same people in the same places all the time – and I wasn't about to get trapped in a routine in the first place I had landed. I know people that landed in Samui and never left. I can see why, but I if I had done that I would have stagnated and possibly ended up in a place I didn't want to be (mentally). I needed to move on and continue the adventure. Samui is a lot of partying, and if you don't go out a lot you tend to feel kind of isolated, unless you are shacked up with a GF. At that time I wasn't up for a serious relationship; so it was time to move on, not settle down. I eventually moved to Bangkok. Big cities have a way of drawing you in, wherever you go in the world – especially when you grew up in one. Then, as you age, the traffic, pollution and lack of green space eventually gets to you and you leave for more relaxed, fresh pastures, I assume. I have such fond memories of Samui though. It's where I started this blog, met some great friends and let off a lot of steam! I still remember sitting in my room in Bangrak (Bophut) and typing the first post for this blog. Back then it was just a personal diary to let the folks back home know about my adventures. It was something to do on those monsoon nights when rain stops play and there's no way you're going out! 8 years later and here I am, still typing away. Bangkok is an extraordinary place that constantly stimulates the senses. The markets, the street food, the tuk-tuks and motorbike taxis, the bars, the clubs, the malls, the impromptu promotions on street corners, the cafes, the co-working spaces, different people from all corners of Thailand and indeed the world going about their business every which way you turn. It is a brilliant mess. A dysfunctional city that should never work but it does, in many weird and wonderful ways. And that's the great thing about Bangkok: you're never more than an hour's plane ride from a beach. So when you do get tired of the bustle, you just head to the airport. I'm glad I made that move though. I studied Thai here, met a few great friends here, went back to doing some martial arts here, played 5-a-side football, starred in a movie, lived in 4 different areas, and of course met my wife here. The list is long. I've visited so many pockets of this city and it seems never-ending. 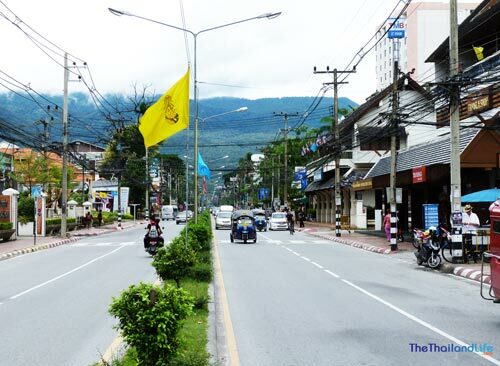 In my early days of living in Bangkok I went off to live in Chiang Mai for a couple of months. I did this twice. The second time was when some friends came over and we did some traveling in the North: Chiang Rai, Pai, etc. Chiang Mai is a wonderful place. 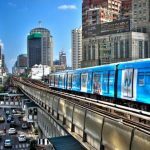 The local markets are great, the people are really laid back, there is a great expat scene up there with lots of healthy food places and music nights, but BKK had it all going on for me at the time. Bangkok is the place to meet new people and have new experiences; for young folk anyway (which I considered myself at the time). Chiang Mai has always been a close second choice for me though. So that's it really. Thailand became my adopted home because I took a leap of faith. Of course the UK is “home home” and I enjoy 2-3-month visits each year to see family and friends. But you know what: quite often you see more of your friends when you live a 13-hour flight away than you do when you live back home. What with work and family, the older you get the less time there is for socialising. But when you have been away people are excited to catch up and make time. You see friends for “quality time” together, and of course they can fly out and have an awesome holiday with you. Personally, I never stop feeling inspired in Thailand. There is always this feeling of possibility, of something exciting just around the corner. It's just a feeling, but it works for me. Whether it's a new friend, learning more Thai, visiting a new part of the country, finding a new coffee shop to chill out in and pen a post, there's just this constant vibe that makes you feel alive – especially in Bangkok. I won't lie, the attraction of cheaper living is a big bonus. I am able to save more here and not worry so much; there are fewer financial burdens such as not owing a car. But people make a place. 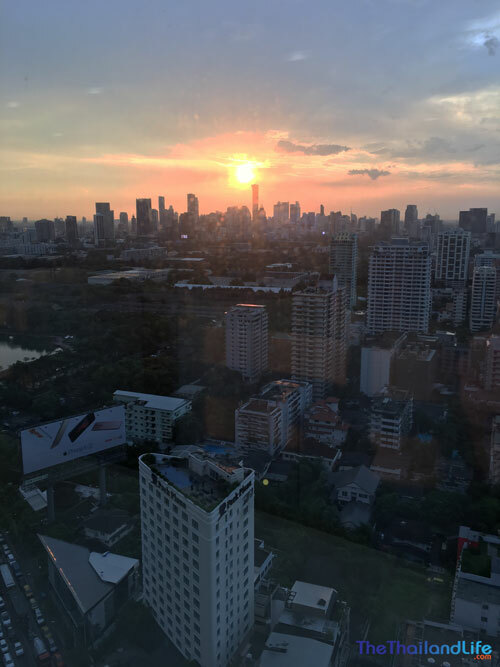 Bangkok isn't pretty by a long shot, and Thailand has its problems – some pretty big – but the people have been very welcoming and kind to me. I hear so many negative stories from other expats, but my experience just doesn't resonate in that way. Overall, 99% of my interaction with locals is positive. There are idiots in every country; you'll always get one. I eventually settled with my GF in Bangkok. We dated, ate out lots, took holidays, enjoyed Loy Krathongs & Songkrans, chilled in coffee shops and eventually, to cut 3 years short, got married. There is more than one country in the world to try living in, and if you have the chance then why not give it a go. It just so happened that Thailand came along at the right time for, and for that I am eternally grateful. There's a whole lot more to this story and lots of bits in between, but I'll come back and fill those in another time. So, why did you come to Thailand? I came here for the music, 1200 concerts later and not bored yet, apart from that nothing else here interests me at all. I arrived here 16 years ago on my way to a project in Vietnam, With Tim Page, of Vietnam the War fame. The project fell through and here I am still. Thanks for sharing Steve, that was a great read, and your disillusion with the UK a few years back certainly mirrors how I felt around the same time. Unfortunately money often dictates our freedom and choices, but I really admire you for not just taking on a teaching job you wouldn't be passionate about, too many do that and it isn't fair on the children. I really hope things work out with the visa, and don't lose sight of that dream home...I am eyeing one up myself. Great i just signed to the RSS feed! Cool, I did it first thing after your comment.....thanks, I'd completely forgotten to do it. Great story, really inspiring for someone like myself who will be moving to Thailand in August for my own reasons.I'll keeping a blog about it on my site and i'd be happy to write a guest post on yours to explain my reasons for wanting to move to Thailand.I'll check back often, how come you don't have a RSS feed? Great bit of writing, inspirational and edifying at the same time. Will make sure others read this.